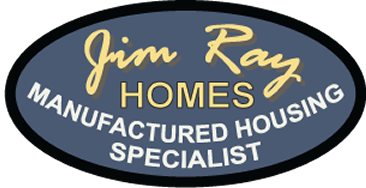 Home - Jim Ray Homes, Inc.
For over 50 years, we’ve believed that we must service what we sell. We have hired and trained a staff that is able to solve nearly every problem that might occur while our customers live in homes they purchase from us. We excel in service to our sales customers and will continue to provide consistently good service to those folks who decide to purchase their new or previously owned manufactured home or modular home package from our company. Why buy a factory manufactured home? Lower Cost – Per square foot, the price of a new factory manufactured home is less than that of a site-built home. Factory Precision – Factory built homes are not subject to weather delays, vandalism and high on-site construction wages. Materials are bought in cost-saving volume, resulting in more efficient construction than conventionally built homes. Low Maintenance – The efficiencies of factory production and the constant updating of design and engineering aspects have kept maintenance costs of maufactured housing low. Quality Control – Manufactured homes are designed to be transported. Assembly line materials are of the highest quality. Federal Government code regulates factory certification and conducts frequent quality-assurance inspections. Options Available – The price of a manufactured or modular home includes not only the structure, but also major appliances, carpeting, and window treatments. It also typically includes the cost of transporting the home, lot development, steps, skirting (or siding), concrete work (such as drives, walkways, and patios), and full set-up. Many options and color choices are available to the discriminating home buyer. Furthermore, some lines can be structurally customized to your needs.